Please can you tell me how I would go about deleting a post I have posted? Hi, which dealer did you use to get Carplay activated? We would like to receive some information with regards to advertising our products on the forum. 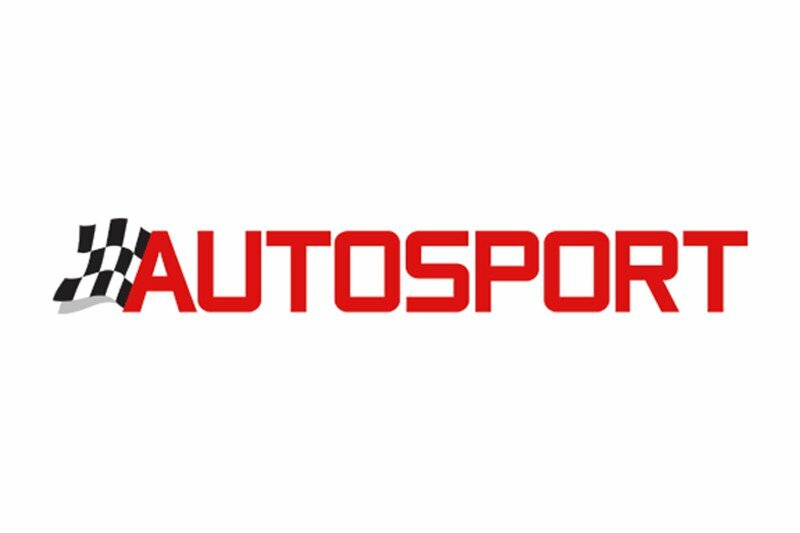 We specialise in the supply of Alloy Wheels, spacers and accessories. We have supplied a lot wheels already for forum members. So I'm a new member and after only 4 posts I've used up my quota of space for pics, I do understand your reasons but now I have to post another 21 posts without pictures to prove I'm not a spammer ? I'm not sure I can do that and really this should be made very clear for new members then I wouldn't have posted so many pics which I was doing to be helpful to other members. Can someone review my account and this rule ? and maybe point me to another Golf R forum ? Good morning, I am looking for more information with regards to advertising on the forum, can I have a list of costs etc. See our website below. You may of already heard about Brentacre Insurance, specialising in modified vehicle insurance. Morning all and Happy New Year to you all! Just a reminder that the 2018 VWROC calendars are for sale in the store tab. A 'must have' wall adornment for all R drivers! Here's to a great 2018! Hi, I've tried to contact admin previously with no joy. Perhaps you can help please - how do I go about enabling direct messaging on here? Happy Christmas from us to you! Good afternoon all and in advance of the big day the chaps at VWROC Towers would like to wish you and your families a very happy Christmas and new year. It's been another record year for us and we'd like to thank you all for your inputs into the site, after all it's only as good as you guys make it. Also a very big thank you to our wonderful Mod team who work very hard behind the scenes. Your work guys is greatly appreciated as it takes many many hours to keep things running smoothly!! One final reminder is that the VWROC 2018 calendars are now in stock and available via the Store so if you haven't already got one please do before they go! Stay safe and thanks again to you all, wherever you are in the world. The VWROC team. The Volkswagen T-Roc R is being developed to become the most agile offering in its class, with chassis development guru Karsten Schebsdat and professional racing racer Benny Leuchter on hand to ensure its competitiveness. Speaking at the launch of the new Volkswagen Polo GTI, Schebsdat, who has led the development of models such as the Golf GTI Clubsport S and previously headed up chassis development at Porsche, said the T-Roc is already well suited to a performance application and therefore would be an effective R model. " I think the standard T-Roc with 4Motion [four-wheel drive] and the DCC chassis with 19in wheels is the most agile SUV in that class," he said. "If there will be a T-Roc R, it will definitely be even more fun." The model, a rival to group stablemate the Seat Ateca Cupra, will have 306bhp and has been spotted testing recently at the Nürburgring. Leuchter has been drafted in to provide input for the car's set-up. He was a key contributor to the Clubsport S's final technical settings and was the man behind the wheel when it set an earlier Nürburgring front-wheel drive lap record. 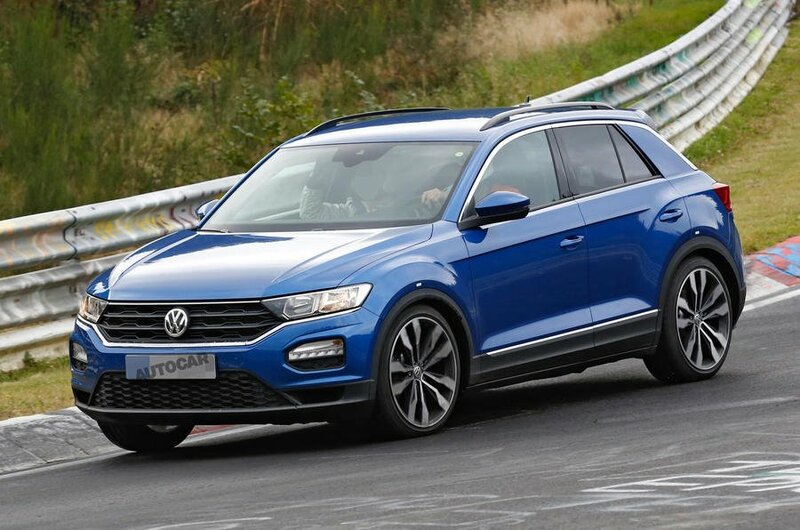 Leuchter said he has been pushing for more agile set-ups on Volkswagen models that reduce the understeer previous models had become synonymous with, suggesting that the T-Roc will be given playful characteristics in order to appeal to driving enthusiasts. Leuchter's input with the Polo GTI, for example, has increased its adjustability. The hot SUV will be powered by the same turbocharged 2.0-litre four-cylinder engine as its main rival, the Ateca Cupra. However, the VW model is likely to come with a slight power advantage over its 300bhp sibling to help justify a higher price - mimicking a trend seen with the Golf R and Leon Cupra. Much will be shared with the hot Golf, because the T-Roc is based on the same MQB A underpinnings as the hatchback. But even with the same outputs, the T-Roc R's additional weight and higher centre of gravity will ensure it falls short of matching the 4.6sec 0-62mph time and dynamic handling of its smaller sibling. In typical VW R style, the future performance T-Roc's styling will likely remain restrained, giving it an understated look like the Golf R. This early 'in the metal' sighting comes four weeks after VW research and development boss Frank Welsch told Autocar that he had comissioned the build of a development car to test the T-Roc R formula. Welsch said he "liked the idea" and expected it to "go well in the UK". VW chairman Herbert Diess revealed earlier this year that the fastest T-Roc would bypass the GTI name because "GTI is for us the hot hatch; a sporty car, classless and accessible for many. It should be this car - a hot hatch". For an SUV, Diess said "we have another sub-brand, R". The T-Roc R would sit above the current most potent 187bhp T-Roc, which Welsch believes will help the model stand out in its busy segment. “We have a 187bhp T-Roc, which is more than the competitors offer," he said, "and we’ll see if lots of people take that." Further T-Roc range expansion The commonality of parts for cars using the MQB A platform on which the T-Roc sits also raises the prospect of the new SUV being sold in plug-in hybrid GTE form along with, potentially, a warm GTD set-up. However, the future of diesel engines in smaller cars remains up for debate as manufacturers weigh up the cost of meeting new emissions regulations for diesels against how much of a premium buyers will be willing to pay. A pure-electric version of the T-Roc is unlikely, however, as VW is set to launch a bespoke family of electric models on its MEB platform from 2020. Welsch’s openness to branding a fast T-Roc as an R model rather than a GTI also signals a clear policy to reserve the latter badge for its famous hot hatches. Even so, the firm is looking to broaden the appeal of its GTI range, with the entry-level Up GTI set to launch early next year. As the SUV sector booms, car makers are looking to exploit sales niches while creating halo models that attract attention to a line-up. For example, Nissan launched Nismo models of its Juke, but VW’s decision to launch an R version of the T-Roc would signify a step up in the mainstream performance SUV stakes. Article courtesy of Autocar. The member/seller will have to re-advertise as I'm afraid the original advert did not meet the Classifieds section requirements. No photo was provided displaying the member's username & date alongside the item for sale. For clarity, it wasn't @dazie00. All, I'm pleased to announce the Classifieds section should now be open to all. Please, please, please read the rules before asking for support or using the contact form to ask why you can't access or post ads. If you do have an issue please use the temporary Classifieds Upgrade forum to ask for help or log an issue. http://www.vwroc.com/forums/forum/89-classifieds-section-upgrade/ Thanks.